Today’s first stop was the Orwell Corner Historic Village on the far side past Charlottetown. This was an interesting prospect because they have an agricultural heritage museum there, along with an 1895 farming village with all the original buildings, some of which were used in the filming of Anne of Green Gables. There was a film with interviews from elderly folks who grew up in farming families on PEI and the stories were fascinating. The museum also had farming machinery from the time period, along with carriages, sleighs, and tractors all the way up to present day. This is your obligatory nerd alert. When you leave the museum and walk down a red lane with the leaves of poplar trees whispering in the wind, you come upon a church with a cemetery that is still used today, along with a one room schoolhouse, a general store, blacksmith, and several barns. In the schoolhouse someone had written “Anne Shirley has a very bad temper” on the blackboard, so we left our mark by adding “I must not tell lies” from Harry Potter because…nerds. The barns!!! We knew that these had been in the films, but it wasn’t until tonight that we realized we were standing on the hallowed ground of the Green Gables farm! Obviously this is still a working farm with geese, chickens, rabbits, and other fun friends. 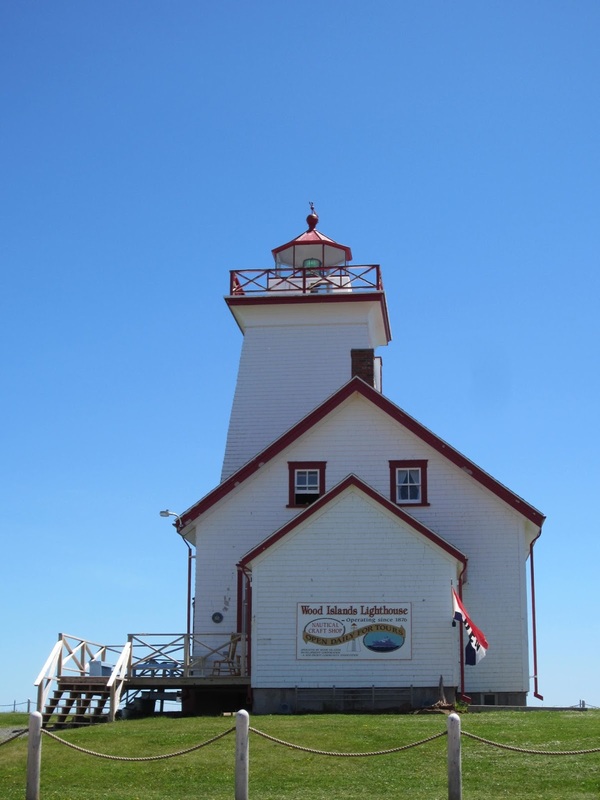 After our little dose of history, we headed along the coast for another stop on our epic lighthouse tour, the Wood Island Lighthouse right near the ferry terminal. While we were there the ferry was pulling into the harbor, and this is a ferry to be reckoned with. It’s the largest one in the history of the island with the ability to carry 215 cars. When we were leaving the area there were enormous semis full of timber and supplies, along with many cars already lined up, waiting for the second trip of the day. The amazing thing about every lighthouse we’ve visited so far is that all of them have their own stories to tell. Each one has something special it wants to teach us when we walk in. As we pulled up to Wood Island, there was loud folk music playing into the breeze. This one was fascinating because there were rooms detailing shipwrecks, lighthouse keeper responsibilities, rum running history during the prohibition, and pictures of the old ice ships used in winter before any of the ferries came along. One of my favorite things about the island is all the sea glass! It’s everywhere, and people here love to go looking for sea glass. 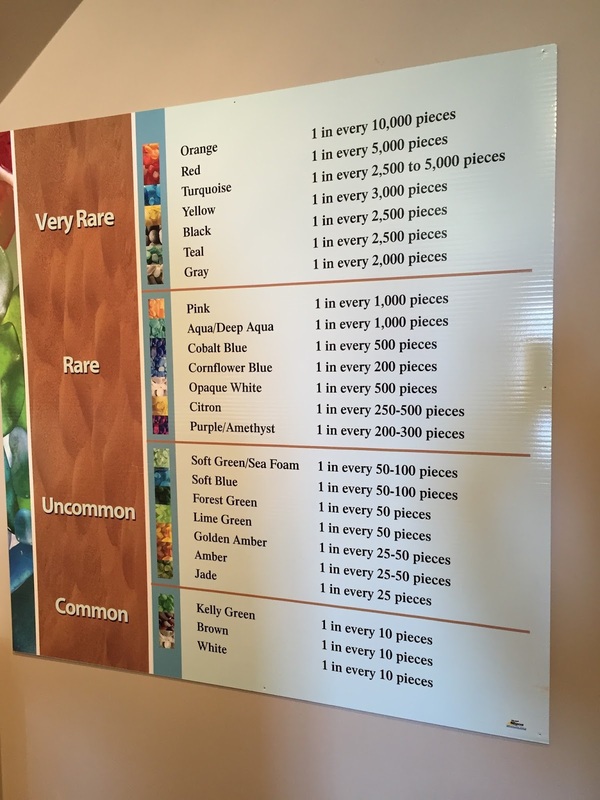 There is a whole room in the lighthouse devoted to it with collections of all different colors. I took the picture below for Rob. He has always wanted to find a red piece, but we have a lot more searching to do before that happens! There was a also information about the history of glass. Depending on the color and shape, there are people who can tell the age of it, and there are still pieces from 1900 that make their way to the shore here today. Not surprising when one considers all the shipwrecks that have happened off these shores. 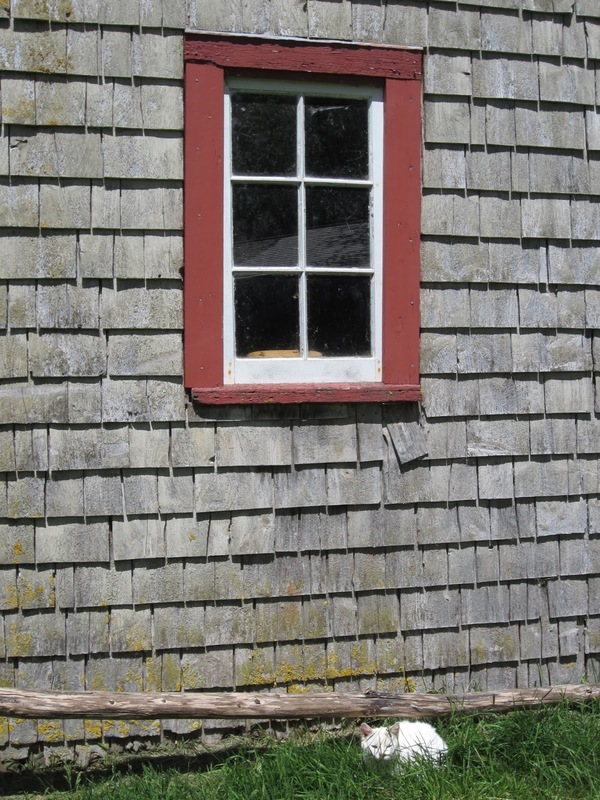 At one point there was a family of lighthouse keepers with seven children living in this building! And met a lobster along the way. From the lighthouse we headed back to Point Prim to see our new cottage for the remainder of the trip here. We pulled into this lane and drove between farm fields all the way to the water. At the end of the road, the little one on the left is ours. 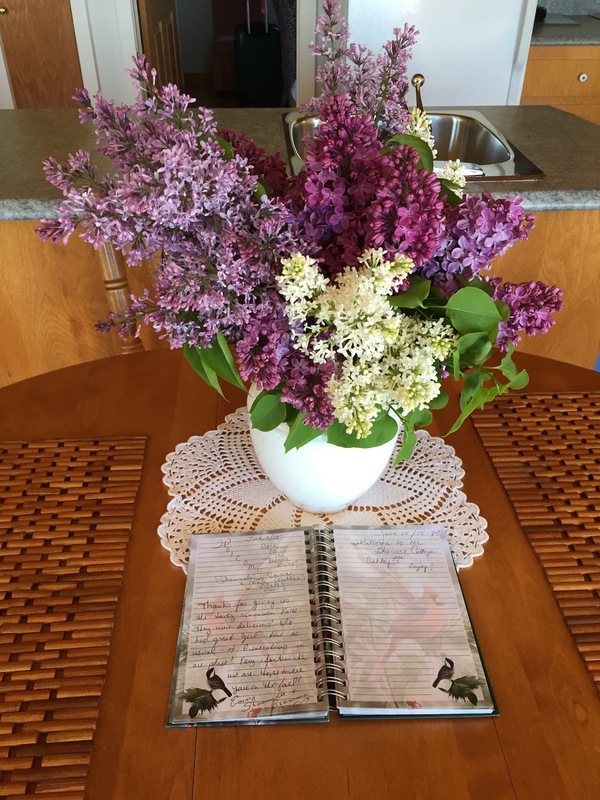 All the lilacs around the island are blooming, filling the air with fragrance, and a large vase greeted us when we arrived! The view is quite grand, looking across the bay to the Nova Scotia coastline. The tide was so far out when we got there and by the time we returned from dinner it was up the rocks by the grass. Following dinner, we raced to the Point Prim Lighthouse to see the sun going down. We passed fields of dandelions, lupines in bloom on the side of the road, and of course, the lighthouse. Rain threatens us tomorrow, but hopefully we’ll be able to find some indoor things to do. So far, the weather has smiled on us and we’re grateful for every ray of sunshine that has made this place sparkle like the rare jewel it is.